Theodore Hapgood (1871-1938) studied at the Boston Museum of Fine Arts at approximately the same time that Amy sacker was there. 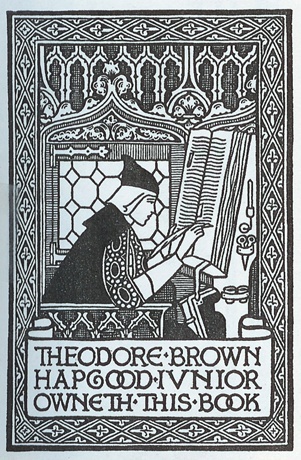 Like Amy, he designed bookplates and book covers, and illustrated books. Fascinated by the Middle Ages, he is also known to have done church vestments and even tombstones! 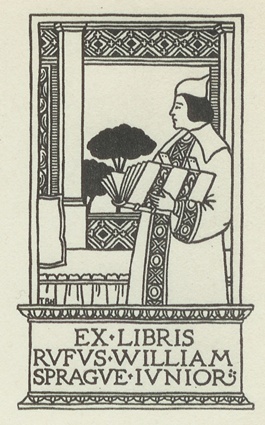 Two of his bookplates are shown below. 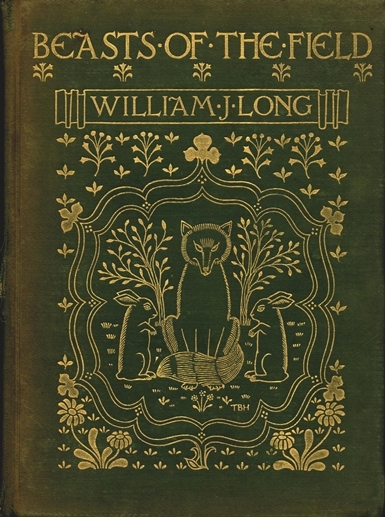 At the bottom of the page is a Hapgood cover with similar design elements, among them the "medieval" E's. While the lettering differs from Sacker's, some of the motifs, and the simplified profiles, found in Sacker's work can also be seen here.